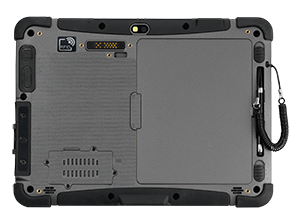 RFID (radio-frequency identification) is used across enterprise to track and transfer data, particularly in environments where tags and labels are not easily accessible for scanning. Since RFID also improves efficiencies while decreasing costs, it is rapidly replacing traditional barcode tags and scanners in variety of industries. And Winmate is working to take RFID technology to the next level with new options for an integrated Ultra High Frequency (UHF) RFID reader in our M101B-UF and a High Frequency (HF) RFID reader in our M101B-HF. 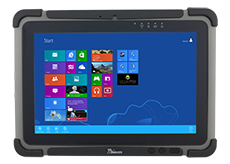 Winmate's rugged M101B tablet PC automates operational efficiencies enabling you to increase material handling, reduce costs associated with handling delays, and streamline the supply chain. 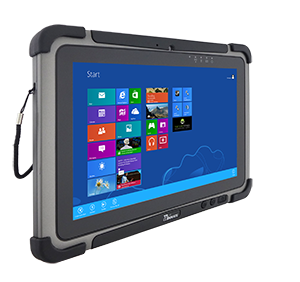 With a built-in 1D/2D barcode scanner, HF or UHF RFID reader, the M101B allows you to easily track incoming and outgoing shipments, while storing and monitoring inventory information in the warehouse in real time. This allows warehouse staff to check a shipment’s location status and locate inventory records instantaneously. 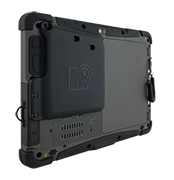 UHF-RFID features longer read ranges (1.5 m to 3 m) and increased reading speeds, allowing users to tag and automatically track large quantities of assets from a greater distance. 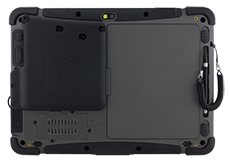 HF RFID is a high frequency RFID that generally has faster data transfer rates and longer detect ranges around 1-3 cm. With the 13.56 MHz transmit frequency; this HF RFID reader supports ISO15693, ISO14443A, and ISO18092 protocol. Built-in 1D/2D Barcode reader in the M101B-BH provides convenient and robust capture of Barcode data for specific application such as Warehouse, Logistic or Retail and many others – in a complete one-piece solution. This Barcode scanner uses the EA30 reader from Intermec, and is capable of reading various 1D/2D barcode symbologies.